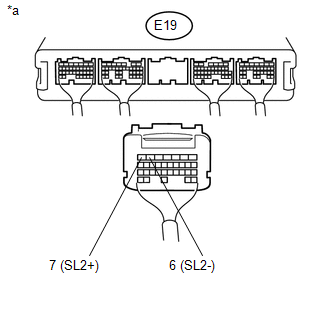 Changing from 1st to 6th is performed by the ECM turning shift solenoid valves SL1, SL2, SL3 and SL4 on and off. 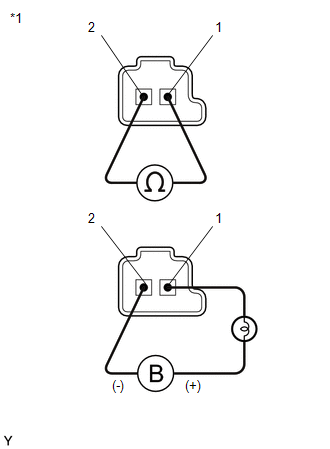 If an open or short circuit occurs in any of the shift solenoid valves, the ECM controls the remaining normal shift solenoid valves to allow the vehicle to be operated (See page ). 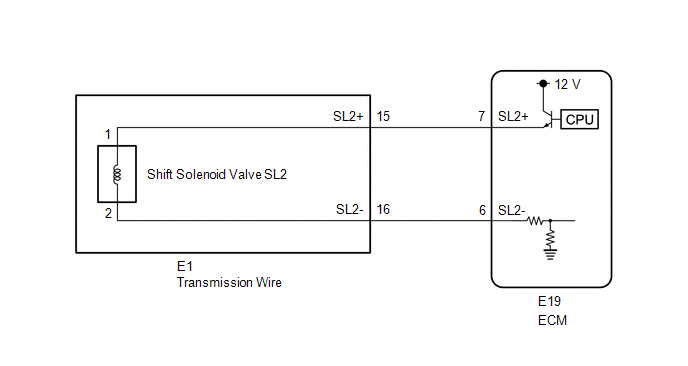 An open or short circuit (output signal duty is 0% or 100%) is detected by the ECM in the shift solenoid valve SL2 circuit while driving and shifting gears (SL2 output signal duty is more than 3% and less than 100% under normal conditions) (1 trip detection logic). 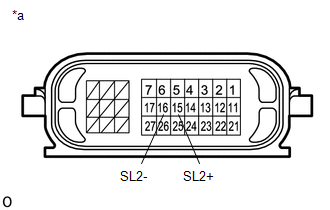 While driving and shifting gears, if the ECM detects an open or short in the shift solenoid valve SL2 circuit, the ECM determines there is a malfunction (See page ). Perform the D Position Shift Test in Road Test. (a) Remove shift solenoid valve SL2 (See page ).